Sen. Elizabeth Warren (D-Mass.) continued to speak against the pending bank deregulation in her third floor speech, this time predicting that another financial crisis will occur if the bill is passed. S.2155, or the Economic Growth, Regulatory Relief, and Consumer Protection Act, was introduced in the Senate in September. Among other provisions, the bill would amend the Truth in Lending Act to allow institutions with less than $10 billion in assets to waive ability-to-repay requirements for certain residential-mortgage loans as well as the Bank Holding Company Act of 1956 to exempt banks with assets valued at less than $10 billion from the "Volcker Rule," which prohibits banking agencies from engaging in proprietary trading or entering into certain relationships with hedge funds and private-equity funds. 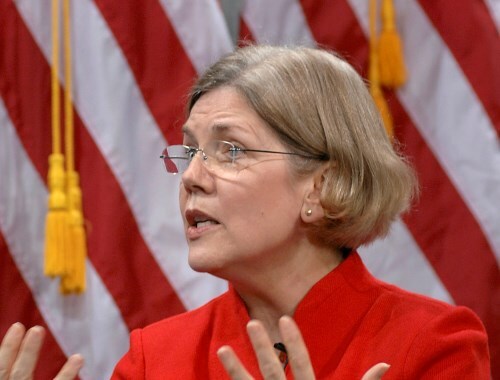 In her speech, Warren said that the bill has “far too much support from Democrats.” The senator also hit the role lobbyists play in passing deregulation laws in the past, saying lobbyists work to roll back regulations on big banks whenever the economy is looking good. She said that unlike millions of Americans following the 2008 crash, lobbyists did not lose their jobs.